For those around in 1967 you may recall that NASA was on the verge of a totally new concept—Skylab—a precursor to the International Space Station. 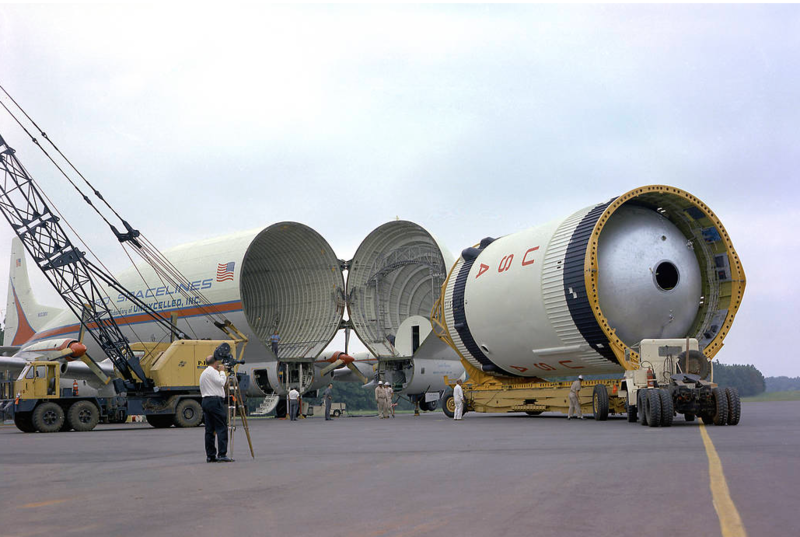 September 1, 1967, forty-nine years ago today the mockup was sent on to McDonnell Douglas in Huntington, California. This week in 1967, a mockup of the Skylab Orbital Workshop was shipped from Marshall Space Flight Center to McDonnell Douglas in Huntington, California, for design modifications. Skylab—America's first space station—began as the Apollo Applications Program with an objective to develop science-based human space missions using hardware originally developed for the effort to land astronauts on the moon. Launched on May 14, 1973, Skylab orbited Earth from 1973 to 1979. The 169,950-pound space station included a workshop, solar observatory, docking adapter and systems to allow three crews to spend up to 84 days in space. The NASA History Program is responsible for generating, disseminating and preserving NASA’s remarkable history and providing a comprehensive understanding of the institutional, cultural, social, political, economic, technological and scientific aspects of NASA’s activities in aeronautics and space. For more pictures like this one and to connect to NASA’s history, visit the History Program’s webpage. 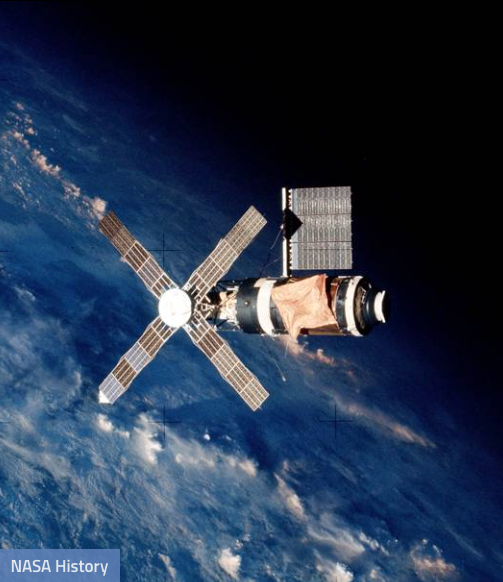 Skylab paved the way for the International Space station. Skylab was a comprehensive program of scientific experimentation that revealed heretofore unknown information about man's capability to withstand long periods of weightlessness, about the adaptability of other living creatures to the space environment, and about life itself. It produced a vast study of the Earth's crust; of the oceans and of life beneath their turbulent surfaces; of ranging mountains, lush forests, and desert wastelands; and of crops, weather, and changes in environment created by man. It permitted a revealing study of the great star Sun, unparalleled in scope and unmatched in results. It gave an intimate look into the universe, a firsthand study of comets, meteors, the planets, and the stars. It included a factory where men manufactured alloys, grew perfect crystals, and learned to work in space. Involving scientists from 28 nations, Skylab demanded the highest degree of cooperative effort from the world's scientific community. Scientists, engineers, and technicians worked, observed, cataloged, and analyzed data on Earth while Skylab orbited overhead, its crew making related observations and scientific measurements or conducting experiments. And when their work was finished, this team was able to correlate the data obtained from both sources, thus refining the scientist's capability to more accurately observe and predict phenomena on Earth. Skylab was excitement, high adventure with all the drama that could be packed into its three manned flights, totaling nearly half a year. It was conquest, of manmade hardware, of difficult and challenging environment, and even of ideas. And it was a severe test of man's capability to analyze, solve problems, and make innovative repairs in a hostile and unforgiving environment. Skylab was ingenuity. The program was initiated with hardware developed for other programs, modified for this space odyssey, and supplemented by items designed specifically for the conduct of its unique mission.